Simon Speirs is believed to have drowned after he was swept overboard during rough seas. A sailor has died after being swept overboard during an international yacht race. Simon Speirs, 60, from Bristol, was taking part in the Clipper Round the World Race leg from South Africa to Australia. Organisers said the retired solicitor, who was wearing a life jacket, was washed over the side during gale force winds on Saturday. Mr Speirs, described as an experienced sailor, has been buried at sea. According to a statement from Clipper, Mr Speirs was sailing for Great Britain on board the CV30, which was in sixth place and had reached the Indian Ocean. Race organisers said Mr Speirs was on the foredeck of the 70ft yacht helping to change a sail when he “became separated from the yacht in the Southern Ocean… in a rough sea state”. Mr Speirs was pulled back on board, but never regained consciousness. He is believed to have drowned. 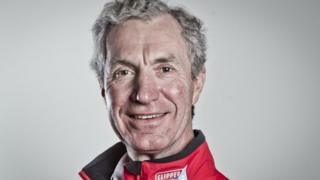 Clipper organisers said: “We are extremely saddened today to report the fatality of Simon Speirs. The rest of the crew are believed to be safe and heading for Freemantle in Australia. Clipper said an investigation would be carried out. The 12 racing yachts set off from Liverpool in August. READ President Macron: Baguette me not?